All festivity periods are a fantastic time to get involved with the fun and expand your business at the same time. From Christmas and Halloween to Guy Fawkes night and Valentine’s Day, there are countless opportunities to piggyback on these events for some fantastic marketing. 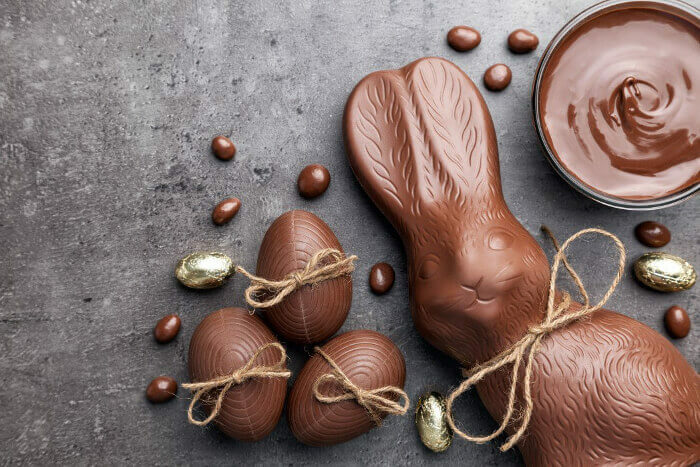 In this blog, I will discuss some important ways that you can use Easter to have a bit of fun with your customers and hopefully encourage some sales and business! If you need any help with marketing either in terms of print or web design, get in touch with me today on 01501 797 061. One popular tactic that is relatively simple to implement is an Easter egg hunt on your website. You can hide an egg, rabbit, or another Easter-themed image on your website and ask customers to try and find it in return for a prize. One option is to offer a discount code for anyone who can find and click the egg, or perhaps free post and packaging, or even something more complex; the possibilities are endless. This tactic works for a number of important reasons. Firstly, it drives people to your website. When visitors are looking for the hidden image, they will need to click through the entire site in order to find it, meaning they will be looking at your products or learning about your company. Furthermore, by offering a discount code or equivalent, you will encourage shoppers to buy from your company. Although you might grudge giving a slight discount, it is better to get 90% of a sale than 0% of a sale that never ends up happening! Regardless of the specifics, this is a fantastic method of getting customers to engage with your website. Everyone likes to see someone walking around in a huge silly costume. For whatever reason, it causes endless hilarity and is a real attention-grabber. Easer is the perfect opportunity to get a willing member of staff to dress up and go flyering! If you are a local company, get some form of Easter rabbit costume sorted out and take some leaflets to the main street. Don’t worry about spreading the word; people will take care of that themselves on social media. Hand out flyers directing people to your website, your business, or even better an Easter-specific promotion that you have going on. This tactic will work any time, just make sure you have enough leaflets to make sure that you maximise your exposure. I will happily print and design the leaflets for you at a reasonable cost, just give me a call, and we can discuss the project. Saving the best for last; who doesn’t love a good old-fashioned Easter egg hunt? These can be a surprisingly lucrative endeavour that does not cost very much to get set up. Ideally, you will have a space that you can set up an Easter egg hunt in. Alternatively, you can just set it up in the park, or perhaps offer to fund it in a local churchyard or similar public space. Regardless, you can be sure that every parent in the area will bring their children along. Your company is going to be looked upon very favourably by the kids and, in turn, their parents! Make sure that your branding is present all around the event and ensure that you have plenty of leaflets or business cards available for people to take down your details. Again, this is a fantastic opportunity for you to have an Easter-specific promotion for your business to offer, encouraging anyone who visits the hunt to use your business. You can even have offer some promotional discounts or free prizes with the eggs. I specialise in providing affordable and bespoke web and print services for local companies. With over a decade of experience in web-based and print design, you can rely on me to come up with a solution that is not just attractive but tailored for your business. The next step is to have a chat about exactly what you need, and how I can help. Give me a call today on 01501 797 061. Alternatively, fill in my contact form, and I will be in touch as quickly as possible.